Twenty seventeen, twenty seventeen. I’m feeling very optimistic about twenty seventeen. Not only are we in the process of making a HEEYUUUGE change as a family (more on that in the coming weeks), but for the first time in a long time, I feel as though I have tons of time on my hands. I’m not in college, so no more essays, dissertations, and have-to-be-read-to-meet-that-deadline books; I’m not pregnant, so no carrying an extra ten plus weight around and struggling to get out of bed; I’m still on Mat leave for another long while so (very optimistically) have more time…it’s time to shake it up a bit. This year I’m going against myself and creating resolutions in line with the calendar year instead of my own birth month. The main advantage of having them the latter way is that there’s no pressure to start them bang on the first of January, so yes, I’m very much aware that we’re already five days into the new year and I’m behind. 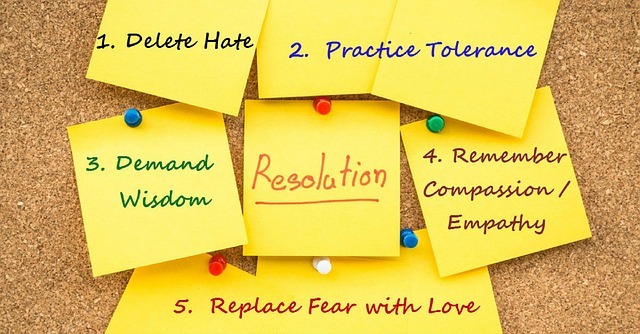 In truth, it doesn’t really matter when one makes resolutions. What counts is setting them and seeing them through. So here are my blog mainly blog related ones. I have other more personal ones, but I’ll keep those to myself. Start a blog series. I’ve always wondered how other Zambians parent away from family and their cultural norms so I want to see if people will let me find out. Hopefully one interview a month, but I’m hoping the response is better than that. I’ve put out a few feelers and am hoping to get a few bites. Yes, I am mixing metaphors. I’ve got to find a new, snazzy header and favicon or my blog. Ideally I want to talk my sister into doing it for me as once upon a time, she loved illustrating. I not, I’ll try to do it myself (bad idea!) or find someone else to design it for me – I’m easy. Either way, this is the year that gets sorted out. Write a novel. I’m always meaning to, I’ve the bones of one…in fact I wrote over 200 pages two years ago but have decided to bin it because I’m just not feeling it. I am accepting that I’m a pen and paper kind of writer and typing directly to screen was not working for me. So I’m starting from scratch and seeing this through…what with all that free tine and all. Blog at least once a week. And ain’t I making a great start already? Come on, you know I am (she said before she fizzled off next week). No, seriously, I’m sticking with it. You will be dazzled and blinded by my brilliance. Get to grips with pinterest and instagram. I’ve been a member of pinterest for years and done nothing with it. nothing. I hope to remedy that this year before even more social media platforms come on board and I get left behind in the dust entirely. Instagram I don’t even have an account for, but given Roz’s new resolution, I better understand soon. I want to read more African writers. I read a lot, but not a lot from my own continent, so I want to remedy that. I’m going to read one book each month, with each author originating from a different country. Then I’m going to write up a book review in the last week of each month before I start the next book. I’ve never done book reviews, formal ones, before, so bear with me while I muddle my way through. I’ve done the list alphabetically starting with Zimbabwe because I really wanted to read Mukuka Chipanta’s book sooner rather than later. Here’s my list if you want to follow along with me, I’ll be getting all my books from the book depository as it has free shipping. Phew! I’m really looking forward to all of it. There’s a lot of meat on those six resolutions for me to get through….bearing in mind I’ll have other quietly ticking away in the background. If you’ve made and started, or are in the middle of making yours, best of luck, it’s not easy. And if you’re not setting any, then enjoy a relaxing year of doing everything else that goes with keeping this life going. I like the reading list. I have read two on the list We Need New Names and A Casualty of Power. I have Tram 83 lined up for December too.